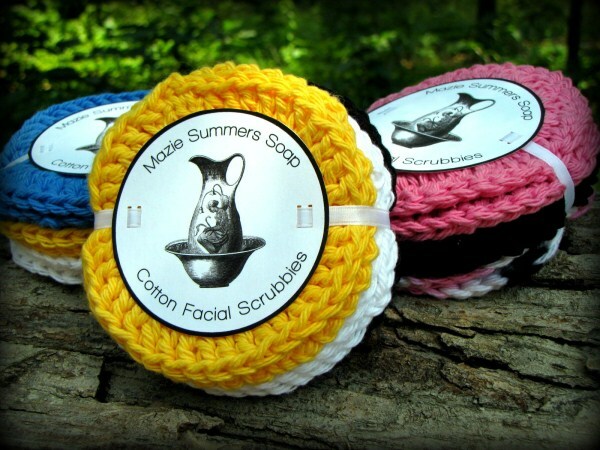 The addition of a hand crocheted cotton scrubbie makes a great gift along with some Mazie Summers Soap. Use to wash your face or remove makeup. Each scrubbie is 3.5 in. in diameter. The texture is great for exfoliation, yet the cotton is gentle on your skin. Reusable so it's great for the skin and great for the planet! Price is for a set for four - 2 white and 2 colored.